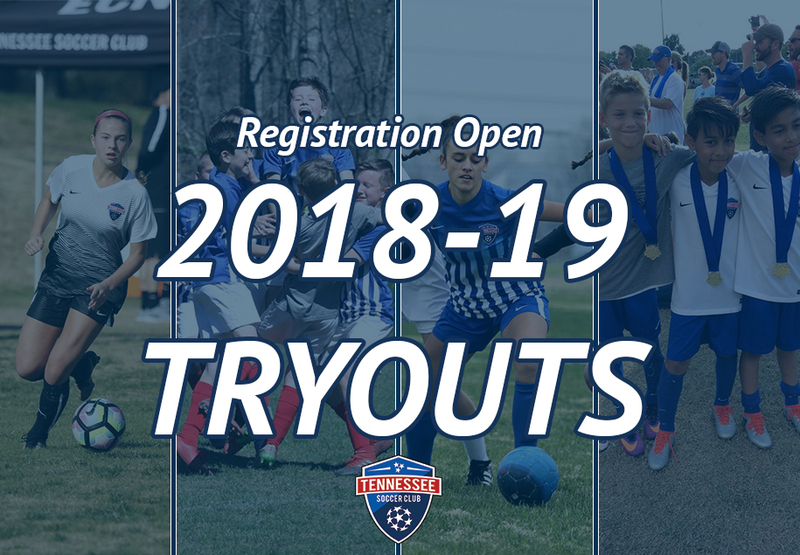 Welcome to the Tennessee Soccer Club tryout page! Thank you for your interest in joining the TSC soccer family. Below you will find a lot of important information and details regarding the TSC tryouts. TSC is following the US Soccer Federation's birth-year registration mandates. As such, our teams are arranged by birth year for the 2018-2019 seasonal year. TSC Tryouts are FREE for all players that register online before tryouts begin. However, there will be a $10.00 fee for walk-up registration. The purpose of the walk-up fee is to provide an incentive for players to register online before tryouts. With the large numbers of players anticipated at tryouts, it is imperative that our staff is prepared and organized so that tryouts can run as smooth as possible. All tryouts will be held at either the Williamson County Soccer Complex in Franklin (1875 Downs Blvd, Franklin, TN 37064) or Tower Park in Brentwood (920 Heritage Way, Brentwood, TN, 37027). Field numbers will be announced on our website as soon as possible. Please check www.tennesseesoccerclub.org for updates. Attendance at Tryouts is MANDATORY. If your child is unable to attend one or more days please reach out to his/her age group director and let them know. The names and contact numbers of our DOCs are listed below. More detailed information regarding check-in will be posted on our website as soon as possible. When you arrive to check-in, please have your confirmation email for tryout registration with you in case we do not have you listed on the pre-registered list. If you did not receive a confirmation email from Demosphere, you did NOT complete the online registration process and thus will need to log back in to your account and continue the process. You will know that you have completed online registration when you get to Registration Step 5.3 "Registration Order Complete". Each tryout participant will receive a TSC tryout t-shirt and an ID number to be worn for the duration of the tryouts. Both the t-shirt and ID number will be given out at registration. The TSC Academy is designed for the U7-U12 age groups (2007 birth year through 2012 birth year). The Academy is split into two groups, the North and the South. The North services the Brentwood, Nolensville, Davidson County areas and other points north of Brentwood. The South Academy services the Franklin, Spring Hill, and Thompson Station areas and other points south of Franklin. ECNL tryouts will be held in conjunction with their respective age group and gender dates. If you should have any trouble registering for tryouts please contact Brandy Gagliano at brandy.g@tennesseesoccerclub.org or 615-905-4865.